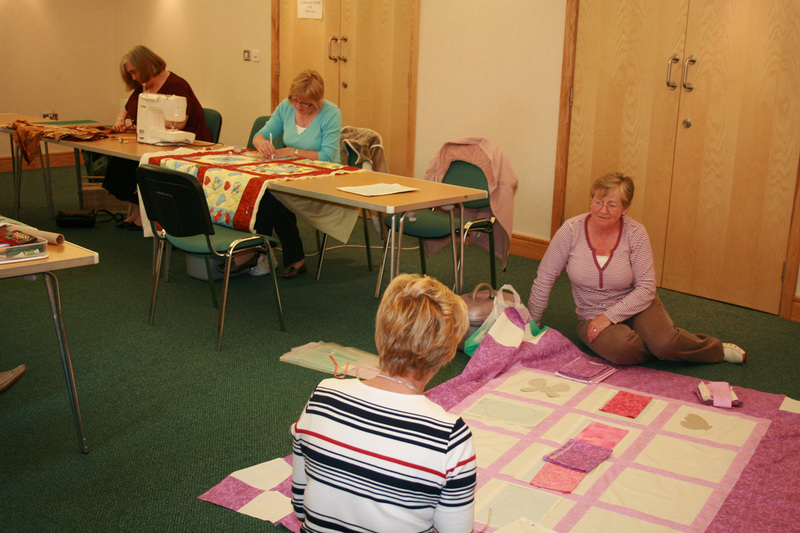 The Crafty Stitchers meet on Tuesday evenings to produce items of patchwork, quilting and appliqué work, although other crafts and sewing activities can also be completed. Each evening, Ann Steele offers help and guidance to those attending with whatever piece of work they are currently producing. Each year, the group raises money for a charity or good cause. Each person attending contributes an extra pound above the cost of the classes each week, which soon builds up to a tidy sum. Evenings with the Crafty Stitchers are friendly and relaxed and work is broken up by lots of talking over tea or coffee and biscuits. A variety of items are worked on, from something as small as a placemat or as large as a double bed quilt, with everything to suit a complete beginner or the more experienced members. More complicated work for those who have been attending for several years is demonstrated by Ann Steele who regularly designs special items like Christmas wall hangings, cushion covers, napkin boxes etc that we can all make. We work at our own pace and everyone will try to help with the right colour of thread or a suitable piece of material if they can. When anyone finishes a piece they have been working on for some time or a new design is brought in everyone gets together to admire the finished article. Books and magazines with design ideas are always available to help in deciding what piece of work to make next or just to admire the labour and imagination of other people. In our experience, even a complete novice can easily produce a first item in a surprisingly short space of time, so why not give it a try? We always give new members a warm welcome!